Snoop Dogg Cleared in Suit for Crashing Stage, Case Cont. > Personal Injury > Littleton Personal Injury Lawyers > Snoop Dogg Cleared in Suit for Crashing Stage, Case Cont. When you go to a rock concert does the thought of your safety ever come to mind? Do you ever wonder how safe you’ll be in a raucous, party-going crowd at a music festival? Have you ever wondered about the bleachers or stage that you are near at a concert? Perhaps these things should matter to you. At least they concern a group of 17 concert goers who were injured at a New Jersey show featuring Snoop Dogg and Wiz Khalifa. Those injured seek monetary damages from the performers and the owner/operator of the venue where the show was held for failure to provide duty of care at the event. 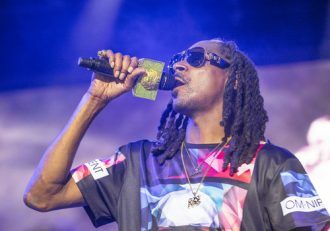 Snoop’s legal team argued that since he lives in California, and not Pennsylvania where the accident occurred, he should not be implicated. Whiz Khalifa and the venue’s owner, Live Nation, continue to fight the litigation. So, far the 17 concert goers have alleged the accident was due to a failure to provide proper precautions to ensure concert-goer safety, according to the lawsuit. Attorneys for the plaintiffs say their clients are seeking financial compensations for the injuries they have suffered. One concert goer even suffered a fractured spine. 50 people at the concert allegedly fell 10 feet onto a concrete sidewalk after a security barrier separating the grass area from the seating are broke, resulting in 42 injuries. Court documents state that the collapse occurred when fans rushed the stage, causing a massive amount of pressure on the security barrier. Snoop Dogg and Khalifa were quickly ushered off the stage and the show was ended. The lawsuit also names Live Nation, which operates the BB&T Pavilion. Live Nation remarked in a statement that it was consulting with structural engineers and authorities on what caused the railing collapse. Who Is Mostly to Blame for Injuries at Spectator Events? 122 spectators were injured by 127 National Hockey League (NHL) game pucks, 90 of whom required stitches, and another 57 requiring transport to an emergency room for treatment. Major League Baseball (MLB) fans are injured by foul balls at a rate of 35.1 injuries per million spectator visits, according to a study published in Prehospital Disaster Medicine. In 2006, there were only four serious injuries among the 750 million passengers about passenger airplanes (with 10 or more seats), according to the National Transportation Safety Board. Besides hockey and baseball being the top two spectator sports where people get injured, auto racing and golf help round out the top four. So, who’s more likely to be blamed for these injuries, you might ask? Well, courts consistently side with the teams, leagues, and event promoters most of the time. Most of the time, courts tend to rule that spectators assume some level of risk by going to certain types of events. They also tend to view that there is a likelihood that spectators will get hit by flying pucks, balls, etc. at these types of events. The courts have consistently ruled that sports fans bare some portion of burden to expected a foul ball, flying golf ball, or puck. In fact, most leagues and teams even print a disclosure that is found oftentimes on the backs of a spectator’s ticket. There are obviously challenges to the status quo, like this concert case. Have been injured at a spectator event and feel the host or venue is negligible for your injury? If so, contact a trusted Littleton Personal Injury Lawyer at Bahr, Kreidle & Flicker. Since 1983, our personal injury lawyers have been fighting on behalf of injured people and aggressively standing up against injustice, inequality, and intolerance. Our lawyers know how serious and devastating the impacts of an injury caused by a foul ball, flying puck or golf ball can be, and we know that many injured people depend on settlements to get the medical treatments they need. For more information about your potential case and how we can assist you, call us at (303) 794-7422 or email us using the contact form on this page. 1“Snoop Dogg, Wiz Khalifa Sued Over Concert Railing Collapse” published in Rolling Stone, August 2016. 2“Who is Responsible When Spectators are Injured While Attending Professional Sporting Events?” published in Denver University’s Sports and Entertainment Law Journal, May 2005.